Living Charlotte Mason in California: Choose some special study... Part I . They are expected to do a great deal of out-of-door work in which they are assisted by The Changing Year, admirable month by month studies of what is to be seen out-of-doors. They keep records and drawings in a Nature Note Book and make special studies of their own for the particular season with drawings and notes. "Make a rough sketch of a section of ditch or hedge or sea-shore and put in the names of the plants you would expect to find." "Write notes with drawings of the special study you have made this term,"
"What do you understand by calyx, corolla, stamen, pistil? In what ways are flowers fertilised?" "How would you find the Pole Star? Mention six other stars and say in what constellations they occur." "How would you distinguish between Early, Decorated and Perpendicular Gothic? Give drawings." Questions like these, it will be seen, cover a good deal of field work, and the study of some half dozen carefully selected books on natural history, botany, architecture and astronomy, the principle being that children shall observe and chronicle, but shall not depend upon their own unassisted observation. The study of natural history and botany with bird lists and plant lists continues throughout school life, while other branches of science are taken term by term. Make special studies for August to December with drawings and notes: The Changing Year, by F.M. Haines (Wadsworth, 3/-), or, Countryside Rambles, by W.S. Furneaux (Philip, 2/6), may be used. 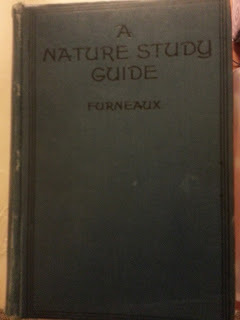 [Furneaux's Nature Study Guide (Longmans, 6/6), may also be used for reference for outdoor work.] . Find and describe (a) six wild fruits; watch, if possible, and describe (b) ten birds, (c) five other animals. [The Changing Year, by F. M. Haines (Wadsworth, 3/-), or, Countryside Rambles, by W. S. Furneaux (Philip, 2/6): August to December. 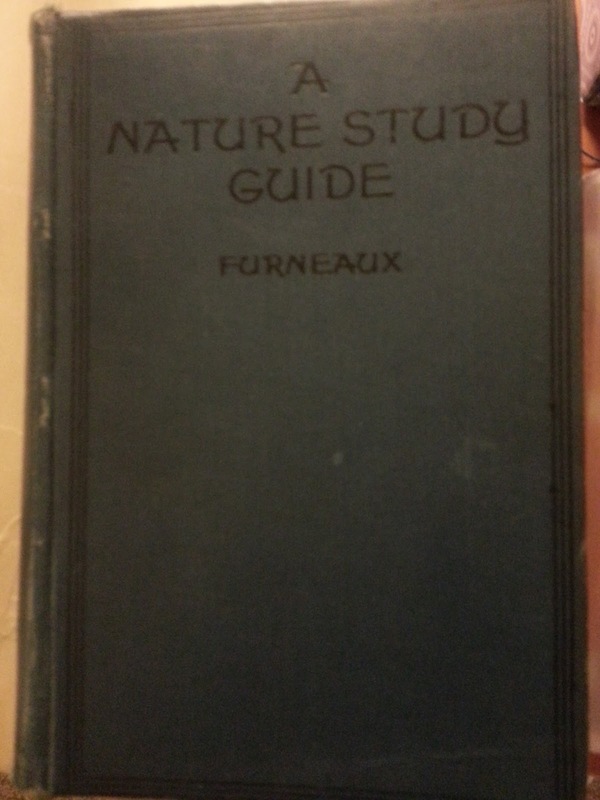 Furneaux's A Nature Study Guide (Longmans, 6/6), may be used for special studies and for reference]. With my oldest child heading into AO YR6, I am very interested in implementing some form of Special Study. Six years of weekly nature study and nature journaling has developed a keen eye, curiosity, wonder, recognition, and a sense of adventure in our kids. I believe beyond Nature Journaling, Special Studies are just the thing to help lead them to deeper levels of scientific observation and understanding, while still cultivating that necessary connection with the humanities. In an effort to figure out how to implement Special Studies, I purchased a copy of Furneaux's A Nature Study Guide this past week. It was published in 1918 and in it I have found many similarities with CM's own ideas on nature study and her methods of education in general. Here's a summary of what I've read so far, I'll leave it to you to determine whether you think CM agreed with all of his points here or whether she merely used the book as a reference for her students. Unfortunately for you, I am no scholar and am reading through this for my own personal use with my kids so I apologize in advance for the crude note form. Nevertheless, I hope it will be of some value to those wanting to learn more about the special studies CM required of her students. important mental processes which assist in the development of the growing mind. close observation of an object or phenomenon in which he is encouraged to form his own conclusions, and to realize, as far as possible, the true nature of the thing seen. teaches a child to not only see but to recognize; and it produces a habit of sensory alertness. a spirit of inquiry and research by which natural objects and phenomena arouse a living interest and encourage investigation. bring the child into direct contact with things, to cultivate the habit of careful observation and discrimination, to create a living interest in the surroundings, and to encourage independent thought. not to give information, but rather to stimulate the children to observe and discriminate for themselves, and to form their own conclusions. Vague and imperfect conclusions of young children are more valuable than conceptions imposed by the teacher on a child that is passively receptive. helps them see and understand various natural objects and the phenomena associated with them which will have great influence in determining their tastes and pursuits. habit of close observation will give child practical grasp of the whole physical world, enabling him to recognize all things and occurrences as a set of conditions that form his own environment. cultivates aesthetic tastes, powerful aid in moral training, cultivates the judgment and the imagination, leads to such thoughtful and intelligent observation that the child not only becomes acquainted with facts, but also sees and appreciates her beauties and realizes her wonders – leading to a sympathy with all living things, correcting the natural tendency to destructiveness – also creating a broad human sympathy. will produce a sense of keenness of the senses and precision of observation that, coupled with an appreciative interest in the surroundings and a natural inquisitiveness concerning things in general, will put him in a much better position to carry out the work demanded of him in his future career with initiative, self-reliance, and a productive method. causes child not only to see with the mind as well as the eye, but teaches him to observe with a purpose; and the mental discipline it enforces provides a splendid foundation for the future study of the experimental sciences. leads to neatness, accuracy and dexterity in all work undertaken, and does much towards the cultivation of patience and perseverance. no study so thoroughly arouses the aesthetic and emotional elements of a child’s character, and no school study can do more to brighten the lives of the children. follow the course of the seasons in order to make studies from fresh or living material at the time of their occurrence. should not consist of a series of set lessons, rigidly defined as to time and character – since nature, children’s minds, and new ideas and developments are variable. Teacher should have perfect liberty to adjust the work as it proceeds, rather than feel himself compelled to follow a stereotyped course in which his own initiative and that of the children are more or less restrained. should be systematic from beginning to end, with carefully prepared scheme of observations, drawn up in perfect accordance with the succession of the seasons, and so arranged that each portion naturally evolves itself from that which precedes it - but not rigid. work laid out should never be excessive. Value of work done is not to be gauged by the number and variety of subjects compressed into the scheme, but rather by the thoroughness of that which has been done. nothing is more effectual in the training of young minds than the continued observations of a progressive series of events such as seedlings under varying conditions, in the varied aspects of trees at the different seasons of the year, and life-history of an insect or other creature from egg to adult or perfect stage. Many subjects like snowstorms, bird migration, etc. can only be dealt with on certain rare or special occasions, thus we take the opportunity as it arises. harder to find animals to study than vegetable, but cardinal feature of animal life is motion; if children can’t observe its interesting habits and work out the striking relation between habits and structure, the charm and value of the lesson are lost. Since object of nature lesson is not to supply information, but to encourage independent observation and discrimination, one animal is practically as useful for the purpose as any other; as a rule, lesson should be based on some form of animal that can be conveniently studied. foreign animals can be studied in connection with the teaching of geography, but should not constitute a set lesson in itself, for the mere presentation of facts by the teacher is not of sufficient importance to demand much time, and a lesson partaking of the character referred is entirely foreign to the spirit of nature study. the collection of specimens for study should not, devolve entirely upon the teacher. Encourage children to collect, providing it is properly directed. Do not let children develop into mere collectors without discrimination as to the usefulness of the specimens acquired. They should bring in only such material as is necessary in the working of the nature study scheme of the school and which they desire to gain information. it is well to devote a little time to pleasant chats on their observations and specimens, even though they do not fall within the range of the course planned for the school work. no formal, spoken introduction required. Set the object of study before the class and tell them to observe carefully, allow ample time for a very thorough inspection of the specimens. Allow children to exchange observations and thoughts with one another. series of questions put forth by teacher is waste of time, not necessary for children to see connection between last lesson and this, this is best seen after the current lesson has been practically concluded and relation between lessons should be worked out by the children, not the teacher. ideas framed may often be somewhat confused and incorrect. But children should have the first opportunity of seeing and investigating. Where necessary, the teacher may, by an occasional remark, direct the observations into some desired order, and any confusion of ideas may afterwards be corrected. after interest has been aroused by preliminary observation, teacher demands attention and, by a carefully planned series of questions, discovers what observations have been made, and draws attention to other points which should have been seen. Further questions asked with the object of encouraging the children to think out simple problems with regard to the habits and mode of growth of the thing before them, and to work out the uses and functions of its various parts. Children should be allowed and strongly encouraged to put questions to their teacher. Each question asked is encouraging proof of interest. okay if teacher doesn’t have answer – nature so varied and changes that it is possible for a child to discover what a naturalist has never seen. Even so, teacher should keep his knowledge as far as possible in advance of what he desires his children to acquire. Throughout the whole lesson the teacher should be careful to do nothing for the children they can do for themselves – tell them nothing which they themselves can discover, and offer no explanation where it is possible for them to solve the matter themselves. Give required assistance only where the children fail after every possible encouragement. Grave error to be impatient to get on with the lesson to complete it, it matters not whether lesson is completed according to plan, but it is most important that the work done is done thoroughly. always encourage children to sketch what they observe to keep both eye and mind working together. No matter if it is crude, sufficient that they have made good attempt. We can be sure they have observed the object before them much more closely than they would have without sketching it. drawing could be done as an entirely separate lesson in drawing. no sketch or picture should be presented that merely ‘illustrates’ that which may be observed in the object itself, not even if it displays features more conspicuously. Let the children have the full opportunity of searching out the features for themselves; do not attempt to save them any trouble for this will deprive them of the pleasure of finding out for themselves. We do not tell them what they ought to see, but rather let them have the pleasure of telling, in their own simple language, what they have discovered. diagrams or models are useful to point out a particular portion of specimen requiring attention, but should be used sparingly. Keep out of sight except when in use. really good pictures of things should not take the place of natural objects or illustrate scenes that may be observed within a reasonable distance. Direct observation in the open air as far as possible produces the most beneficial results on the minds of children; this may be supplemented by the use of good pictures. Pictures are useful in upper years to recall observations for the purpose of classifying, grouping. Good for students to exhibit their handiwork and explain what they saw to the others. Teachers will be surprised what the children come up with that they themselves didn’t think of. hard and difficult words should not find a place in a nature lesson. The descriptions and other statements are given by the children in their own simple language and technical terms should never be substituted by teacher. Does not matter what a child calls a particular thing or part, provided name given is fairly appropriate. Aim is to get child practically acquainted with things, not names. recap unnecessary, in this manner, children rarely forget what they themselves have discovered. Nature reading books should not be substituted for nature lessons. Okay for reading lessons, but aims of reading lesson are quite foreign to those of nature study. Children must see for themselves and not be told, but work out problems themselves. Good to encourage children to read in their own time, good books of travel and popular books of prominent naturalists. most valuable part of nature study is outdoor work; advantage should be taken of every available opportunity of rambles in lane, field or wood, in any neighboring parks and open spaces. every ramble must be arranged with some definite object in view, otherwise much valuable time may be lost in aimless wanderings and disconnected observations. This does not mean we should close our eyes to the many interesting objects that thrust themselves in our view; rather, carry out object and also notice other interesting things. each child should carry note-book and pencil to record what is seen. Encourage children to make a sketch of at least those objects selected for the observation of the day, make sure they are dated so they can be transferred to well-kept nature diary. each child should also carry box to take home things objects required for more detailed examination or preserved for future study. Senior classes should have pocket-knife. A few small trowels may also be necessary for collection of roots, a magnifying glass and a compass are of great value in many cases. remember object of ramble is not collection of specimens, but rather the close observations and study of natural objects in their natural surroundings. Be careful that children do not develop into mere collectors, but observers. Collect imperishable items given permanent place in the reference museum of the school. also, many living objects, both animal and vegetable, the growth and life-histories of which are of great interest and provide favourable opportunities for series of continuous observations and records are collectible: roots of young wildflowers in their earlier stages may be transferred to the school garden for day by day observation, fronds of ferns for spores, caterpillar with sprig of it's food plant, pond creatures, etc. for plants and flowers a tin box containing a little damp moss will answer all purposes. Any box or even strong paper bag suffice for dry material: seeds, fruits of non-succulent nature, fern fronds, minerals; though a special box with loose packing of cotton-wool for delicate objects is extremely useful. for small animals, wood or tin box with a few holes for air made with an awl. push awl outwards from within so no rough edges injure the occupants. do not recommend preservation of animal and vegetable specimens for nature study. Object should be to create an interest in living nature by the observation of living things and their ever-changing aspects. Lessons surrounding preserved specimens may have some scientific value, but should hardly be needed in a school for the young and are usually as dead as the specimens themselves. It is in the study of the various rocks, the soils derived from them, the movements and varying conditions of the atmosphere, and the face of the sky, with the movements, apparent and real, of the different heavenly bodies that we realise the very close relationship between nature study and geography. the study of plant life is hardly complete without some appreciation of the relation existing between the character of the vegetation of the districts traversed and the nature of the soil. Children, while walking to the locality of their studies, should be taught to observe the nature of the ground covered - the slopes and aspects, the vegetation, and the soils, the underlying rock when visible and compare the rock and soil to see if one was derived from the other and if not, inquire into the ways in which it was transported there - water and other denuding agencies. As soon as children are sufficiently advanced, let them sketch a simple plan of the route taken, include positions of hill, valley, and stream, of field, wood and moorland. Encourage them to mark, as accurately as possible, where principle objects of interest have been seen and any observed changes in the nature of the soil. Elder scholars, expert in sketching rough plans, may be taught the use of the pocket compass and simple methods of measuring approximately the ground traversed, thus initiating them into the art of map-making, encouraging them to find their way about the neighbouring country with the aid of a compass and the ordnance map of the district. Interesting observations may be made along moist banks which are special habitats of certain water-loving wild flowers, shrubs and trees; and in the stream species of aquatic plants with structure peculiarly adapted to their watery home. Call attention to varying velocity of the stream at different points, and the relation which the velocity bears to the gradient of the bed and to the transverse sectional area of the stream should be worked out. Further, the different kinds of material forming the bed should be observed - stony where rapid, sandy where not so swift, muddy where sluggish. Thus the process by which the stream tends to reduce the level of higher ground, and to fill up the hollows may be worked out. All the important features and functions of a mighty river may be observed, on a small scale, by the study of an insignificant rivulet. Ramble along coast observe result of denuding action of the sea, watch the waves do their work; bare cliffs give ample opportunities of studying the rocks of the district. Sea cliffs too have their own special vegetation, as have salt marshes found on low parts of the coast. Some interesting plants grow only near the sea, while others, common inland, become much altered in growth and habit when they find a home on the cliffs. On the beach, can observe some of the results of the mechanical action of the waves in the rounded outline of the lower rocks, the pebbles, and the particles of sand. Movements of tide should be noted; the times of ebb and flow, as well as limits of the advance and retreat of the water on different days, entered in notebook for future reference. Side by side with these, the condition of the moon. Thus they see the hour of high tide and the amount of advance and retreat of the water are always the same for the same condition of the moon. Let children observe general features of sea-weeds, their varying forms and colours, their mode of growth, the absence of flowers, roots and true leaves. In case of larger species with air-bladders, observe the plants hang over the rocks at low tide and again their position when submerged to learn the function of the bladders supporting plant for maximum light and free supply of dissolved air, learn structure adapted to habit and habitat. At low tide, examine animal life that live attached to the rocks, that conceal themselves beneath stones and weeds waiting for water to return, and the many active animals that people the rock-pools. Can observe those protected by hard external coverings, also ample means of defense and offense, camouflage. Equally interesting and instructive are varied organs of motion and locomotion - the fins of fishes, jointed legs of crabs, shrimps and prawns, gliding 'foot' of the winkle and the whelk, swaying tentacles of marine worms and anemones. Even on less productive shores, much may be gained by careful examination of the line of debris washed up by the waves to form the high-water mark, particularly after a storm. Many animals and plants detached and thrown on the beach by the waves. If possible, a little time should be set apart occasionally, say about once or twice a week, for a general chat on the observations of both teacher and children. This greatly encourages children to observe and add much pleasure to their work while giving teacher opportunity to develop their power of expressing themselves in correct English. 1. The general form or build. 2. The character of the natural covering. 3. The limbs, especially in motion. (b) The feet and their hoofs or claws. (c) How far the limbs resemble, and how far they differ from, our own. (d) How the animal moves about. 5. The ears (compare with the human ear). 6. The eyes: where situated; lids and lashes. (b) If possible, the teeth. (c) How the animal feeds. Its food. 8. In all matters enumerated above, how the animal is peculiarly adapted to its habits and mode of life. Then when time for lesson has arrived, teacher will receive from class all observations made and the conclusions at which the children have arrived. He will not give information himself, as a rule, but rather encourage the children to observe gain in matters where their observations have been imperfectly made. Nor will he offer explanations too freely, but cause the children, with as little aid as possible, to work out for themselves the little problems concerning the relation between structure and habit. Such a lesson ought to be quite as valuable as one in which the object selected is examined in the presence of the teacher himself. 2. The large eyes, little feelers (antennae), and the sucking organ on the head, the food required by the fly and the manner in which it feeds. 3. The legs: where situated; how the fly walks, and its power of walking on very smooth surfaces, even in an inverted position. 4. The number and nature of the wings, and the wonderful power of flight. In this instance, aid of teacher's knowledge necessary in explaining exactly how fly feeds, why unable to devour food in solid state, also how enabled to walk on perfectly smooth surfaces. Diagrams or, better, photographs from Nature might be shown to demonstrate the wonderful structure of the foot and the proboscis. Subject might also be extended by rearing some flies in suitable cage to trace the whole life-history and metamorphoses. Many other nature subjects lend well to this mode of treatment, and greatly assist the teacher in that they give useful and interesting employment for children's leisure hours, allowing more actual study than would be case if all observations made under direct supervision. Where nature study has formed part of the curriculum and where the subject has been taken on the lines we have laid out, there will be but little fear that the children will cease to interest themselves in their surroundings as they get older and eventually leave school. Often we find them organising themselves into little societies or clubs for the express purpose of continuing the work that has given them so much delight in the past, and teacher should foster this tendency by helping elder scholars and the old boys and girls to establish, organise, and maintain a field club or natural history society in which they continue the study commenced in younger years. This mode of treatment is not exclusively adapted to the study of animal life, for it is equally applicable to all branches of Nature. General study of our forest trees and shrubs, habitats of flowers, general aspect of hedgerow, field and wood, study of atmospheric phenomena, the changes of the moon, movements of various heavenly bodes are all suitable employments for children under the guiding hand, though not necessarily under the direct supervision of the teacher. Below is a list of the special studies listed in the book by season. Spring the season of the re-awakening of life. Bud-scales and other temporary structures. Gradual transition of bud-scales into leaves. Simple experiments to demonstrate the manner in which the sap flows. Germination of various seeds under different conditions as to moisture, food, heat and light. Records kept Plants reared from seeds, in a good soil, for continuous observation. Records of life-history. The growth of bulbs and corms. The growth of potato plants from the tubers under varying conditions. Make records. Cultivation of flowers in the school garden. Forms and habits of the common creatures of the garden - snails, slugs, centipedes, young spiders, etc. Rearing of caterpillars or other insect grubs for the study of their metamorphoses. Marine life as seen in the rock-pools. Return of the summer visitors. Nest building and the care of the young. Wild and domestic. Forms and habits. The frolicking of young animals - lambs, kittens, etc. Studies of Earth, Air and Sky. Daily path of the sun: rising, setting, altitude at mid-day. Lengthening day and increasing warmth. Spring winds and showers. Droughts and dust. Planets visible at the time. Appearances and movements. Stars. Their apparent motions. Conspicuous constellations. Observatinos of habitats and habits. How plants are protected - thorns, spines, prickles, etc. Forms and arrangement of leaves. Leaf mosaics. Functions of leaves. Storage of food in rootstocks, tubers, bulbs, etc. Calendar of summer flowers. Records of observations on the habitats, habits, flowering, fruiting, etc. Relation between flowers and insects. Relationships in plants, as shown in the structure of the flowers and other parts. Our forest trees and shrubs. General form, bark, branching, leaves, fruit, etc. Absorption of water, transpiration, movements of sap, formation of starch and other products. Ferns , mosses, lichens, fungi, algae. The small creatures of the garden. Common birds of the neighbourhood. Habits of animals seen during school rambles. Common creatures of our ponds and streams. Life in the rock-pools on the coast. Means of defence and offence. Means of capturing or procuring food. Manner in which the food is eaten. Construction of homes or shelters. Storing of food not required for immediate use. Care of the young: preparations for, protection, feeding, teaching, etc. Construction of snares - spiders. Resemblances to environment, and mimicry. The sun: rising, setting, altitude at mid-day. Length of the day. Summer temperatures. Summer showers and droughts. Their effects. The star-constellations visible in summer only. Gradual reduction in temperature and gradual decline in both animal and vegetable life. Ripening fruits. How fruits are formed. Difference between fruits and seeds. Uses of the fruits (seed-cases) to the seeds within them. Collection of fruits and seeds. Agents concerned. Autumn flowers-studied, as far as possible, in their habitats. Decay of leaves. Autumn tints. Fall of the leaf. Cause of. Observations and records. The meaning of decay. Action of bacteria. Storage of food by biennials and perennials. Deposit of eggs before they die. Storage of food for the winter - squirrels, bees, etc. The movements of birds. Summer visitors leaving. Winter visitors arriving. Birds of passage. Small creatures of the garden seeking shelter for the coming winter. The Earth, Air and Sky. The shortening day and decreasing temperature. Decreasing altitude of the mid-day sun. Autumn gales, mists, and fogs. The planets visible at the time. Some constellations of stars visible only during the autumn. Life now at its lowest ebb. Many plants and animals in a dormant condition. Winter condition of deciduous trees and shrubs. Winter condition of hedge, field, wood, and moor. Winter flowers: snowdrop, hazel, furze, etc. Early flowers in sheltered places. Winter condition of herbaceous biennials and perennials: their roots, tubers, corms and bulbs. Hibernating animals: their homes and their condition. Winter hiders, including the little creatures of our gardens. Dormant stages (pupae) of insects. Winter life of the squirrel. The care of flocks and herds in winter. Queen humble-bees and queen wasps. The snowstorm. Snowcrystals and flakes. Compare with other crystals. Ice and its properties. Icicles. Winter landscapes. Contrast with summer. Winter condition of ponds and pools. Vegetable products: their properties and uses. Aninmals products: properties and uses. The jetsam of the seashore. Various human activities in town and country. Weather charts: how made, and their use. Building and paving stones. Their properties. Other mineral products of the neighbourhood. Disposition of rock-beds in the locality. Action of the sea on the land. The atmosphere as a denuding agent. Clay, chalk, coral, and other interesting rock-formatinos. How to find the geographical North by means of the compass, the pole star, and the sun. The Milky Way. The universe. Charlotte Mason's science was so multifaceted! We know that everything she did was for a reason, and the more I learn of her methods, the more in awe I feel. How do we fit everything in - botany right through school, special studies, observational sciences, physical geography. What about the more specialised subjects - chem, physics, genetics. Where would she have gone with those? Thanks for your summary, Naomi. It has been very informative. And now I am more confused than ever! 2. Write notes, with drawings, on the special studies you have made this term. "A&B 1. Describe three wild fruits you have found and two animals you have watched." 3. Describe the wild fruits you have found, naming, if possible, the natural order of each. The beauty of it is that the children did the digging, the thinking, the 'act of knowing' and their learning was supplemented by lessons in class in between as well as all the reading they did in natural history. It is that 'twice blessed' way of her methods that we so appreciate! Partridge's book has been on my wishlist for ages after reading about it here and there, and I finally found it used--and I'm glad I did. Some of the projects are more classroom-ish, but in general, it has nice seasonal lists of nature-related projects and the author's philosophy definitely encourages teachers to allow students space and time to make their own connections, do their own work, etc. Our plans for next year won't be as "independent" as yours since my kids are still small (two oldest in 2nd grade next year), but I really do want to move them toward that kind of work--they have made wonderful progress in taking ownership of their nature journals and their own observations this past year, so I think they would rise to the occasion if I provided more opportunities for in-depth study of a particular topic. I'm looking forward to following what you have planned! This is fabulous, Naomi. There is so much here for me to add to our nature studies. I'm especially pleased to see the inclusion of architecture because my DD prefers to draw cityscapes to landscapes or wild life, and I've considered her interest as something "other" and not part of our nature studies. Well, we live in the city and our nature is usually surrounded by buildings and bridges. She will be pleased with my new attitude about including architecture on our sketching days. Thank you for that - and for all the other ideas on this post for me to consider. Oh, and I also really like the tip about a box lined with moss for collecting specimens - that makes sense, why didn't I think of something as easy as that. Well, easy if you have moss handy I guess. :) Thanks again.